Having found the missing Aire in Antequera we parked up and went alcohol harvesting in Mercadona… It was a fruitful harvest and we added money to the local coffers. Not much though as the booze was quite cheap. 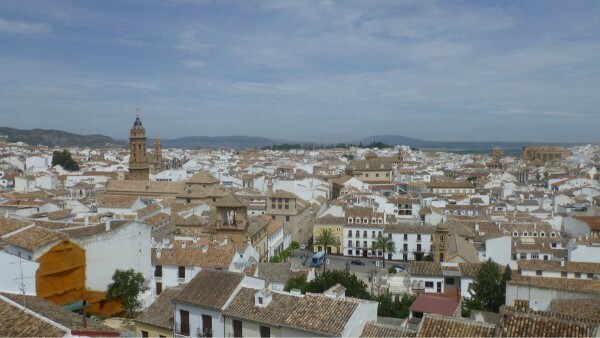 Following the inevitable coffee shop stop we wandered up to the Castillo de Papabellotas ( Alcazaba). 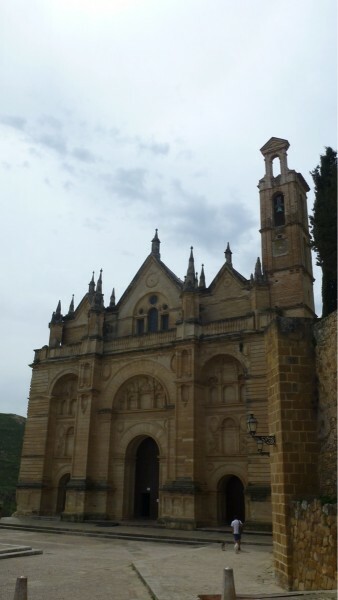 Full of history and, as so often the case in this part of Spain, linking the Spanish with Romans and the Moors. A word on entrance tickets – buy the combined ticket at the Alcazaba which also gives access to the Colegiata de Santa Maria la Mayor next door. As tonight was going to be a late on we grabbed a bit of rest in the van before heading out to the Lobo Park. This had been recommended by a couple of friends and we were booked in on the 4th May…. Full moon. The park has a few other animals but the main attraction were the wolves….. Daniel, the guy who runs it, describes it as a place where wolves social behaviour are not changed and this allows opportunities to study them. As we started the walk the wolves started howling and talk about atmospheric…. Daniel was totally dedicated to these animals, you could tell from the passion they were a great part of his life. 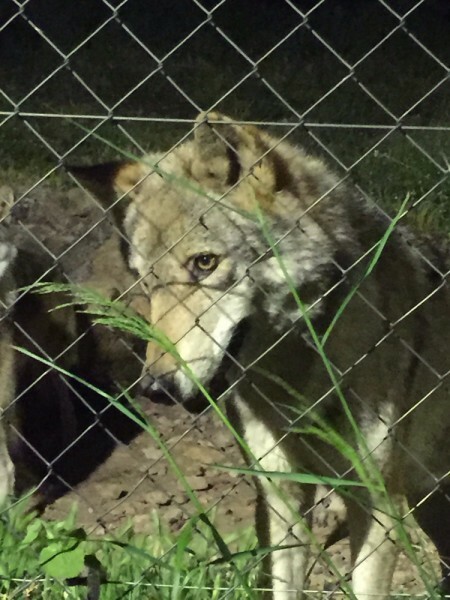 We managed to see a Hudson Bay male, that had been rescued from a zoo, a female Tundra, Iberian and Eurasian.